We offer the latest tooth coloured fixed appliances which are translucent and therefore blend with the natural tooth colour for maximum aesthetics. Throughout treatment they resist staining and discolouration, which together with their low profile design make them barely visible. Fixed appliances are broadly used where more complex tooth movements are required with treatment typically lasting anywhere between 3 and 24 months; they can be used on any age group. 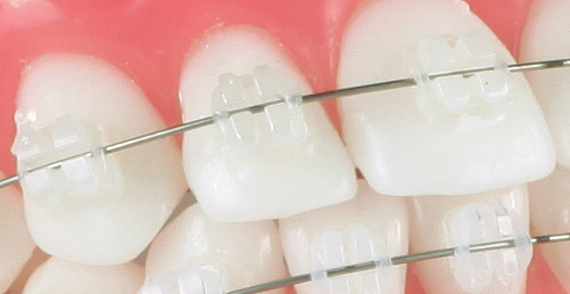 Tooth coloured braces are available on a private basis only, and can be combined with metal brackets to make treatment more affordable.